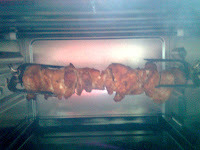 Tandoori chicken is a very popular dish in India and abroad. 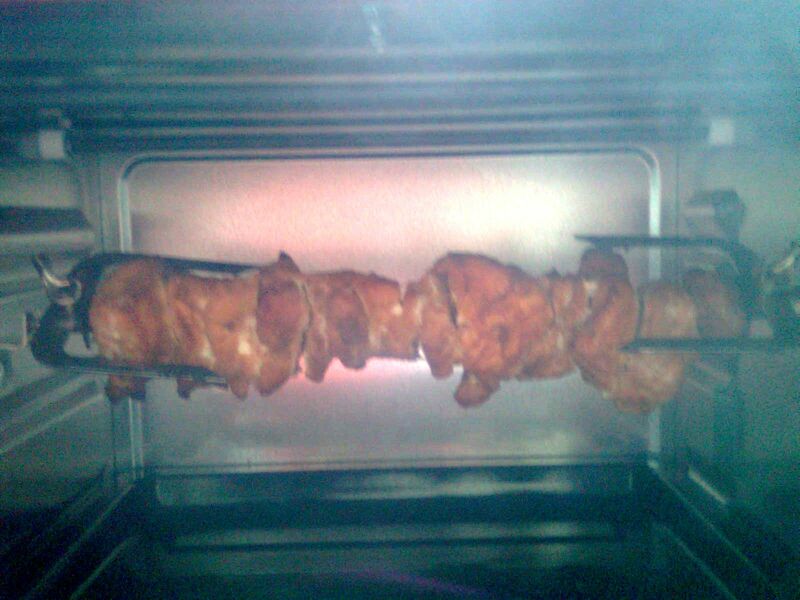 In this the chicken is marinated in yogurt and a mix of spices. It is simply delicious and is often served as a starter. The low use of oil makes it a healthier option as well. Conventionally the tandoori chicken is made in a clay oven but it can also be made in a regular grill or a convection microwave oven. Mix all the ingredients in a bowl and keep the marinade in a refrigerator for 24 hours. Preheat the oven at 250 degree Celsius for 5 minutes. (I have used a Prestige otg). 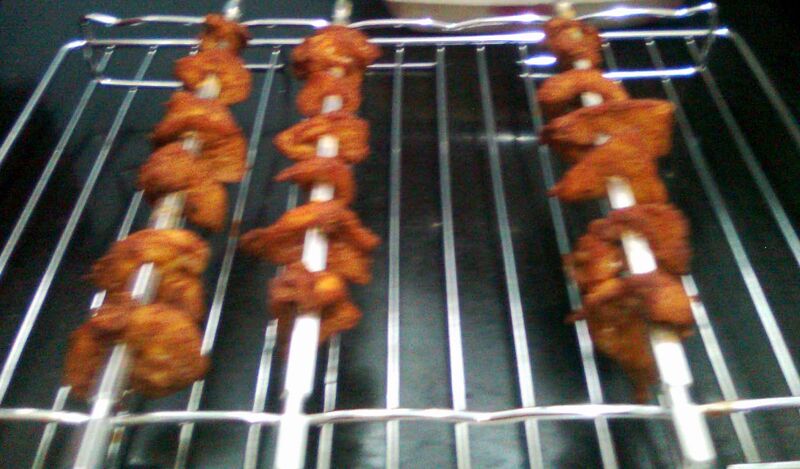 Brush the skewers or grilling rods with little oil and insert the chicken pieces. Place the rods in the oven in the central shelf and grill for 25 minutes at 250 degree Celsius with both the upper and lower rods on. Keep a constant vigil over it if you are making this for the first time as smaller pieces might be cooked in about 20 minutes while larger pieces might take about 30 to 35 minutes to cook. If you are also using this type of otg always place a baking tray in the lower shelf as juices from the chicken might fall on the rods below. If you are using the rotisserie mode then insert the chicken pieces in the rotisserie rod and cook for 40 to 45 minutes at 250 degree Celsius. This takes more time to cook than the normal grilling method. The plus point is that the chicken is cooked evenly. Once done serve hot with onion rings, half a lemon and coriander leaves. How to prepare chicken 65 masala or which brand is selling it..
We can prepare chicken 65 masala at home. Aachi chicken 65 masala powder is also good.